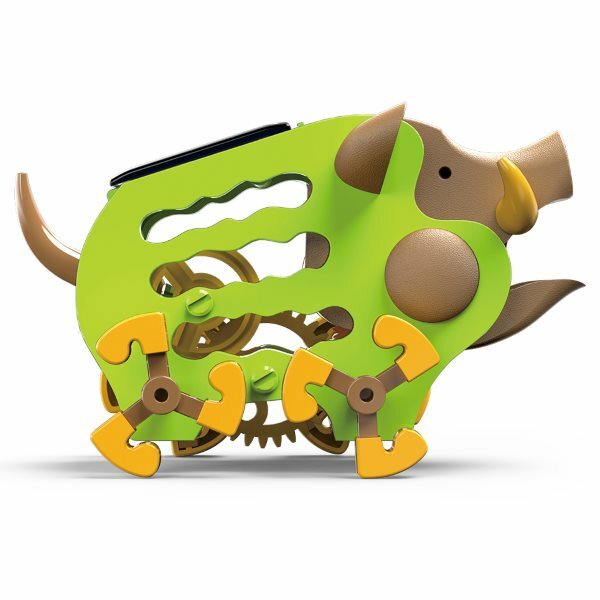 The Solar Wild Boar is a pocket pet kit that teaches about solar power. 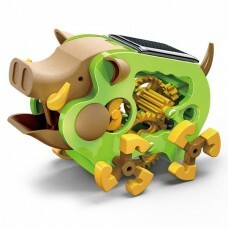 This toy Wild Boar robot roams around using a set of spinning feet while its mouth opens and tail wiggles. This kit uses mechanical transmission and electric motor theory. It is completely solar powered. This solar mini kit has 47 pieces that require assembly. The finished Solar Wild Boar kit measures 3.56 x 1.85 x 2.24 inches. Batteries are not required as it gets all of its energy from the sun. The manufacturer recommends this kit for children 8 and up but we feel adults will need to help with assembly. 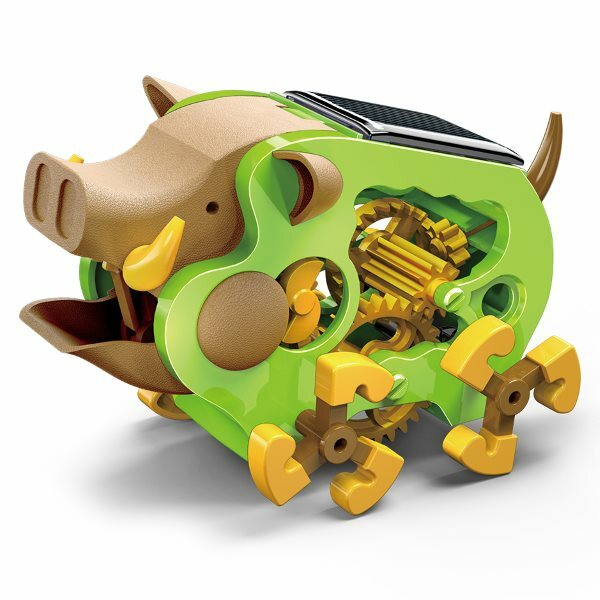 Building kits together teaches kids a range of skill and provides some insight into how things work under all that plastic.